The Hawaii Community Foundation is especially proud to stand behind these outstanding philanthropic efforts. Nonprofits need strong infrastructure, leadership and governance to achieve their best results for the community. Protecting and preserving our natural resources lays the foundation for Hawaii’s sustainable future. 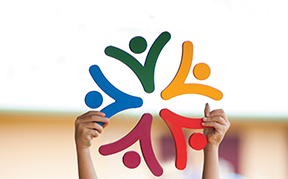 Strategic philanthropy helps build strong communities and affects long-term social change. Helping people understand the impact of philanthropy and nonprofits increases their levels of giving and involvement. Creating synergistic partnerships leads to collaborative solutions and lasting change. Enabling donors to pool contributions benefits a specific location that is meaningful to them. 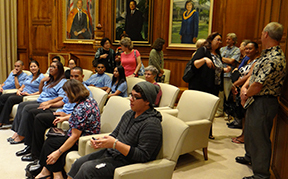 Protecting health and providing essential human services is critical for Hawaii’s most vulnerable people. Funds for specific disasters and violent events provide support where it is most needed. Arts and culture are integral to the economic, physical and social well-being of Hawaii’s communities. Technology plays an important role in increasing access, creating efficiencies, and improving the quality of life for people in island communities. Charitable giving decisions reflect the values of individuals and families and their passion to make a meaningful difference. Focusing on youth and education has a ripple effect on the entire community.